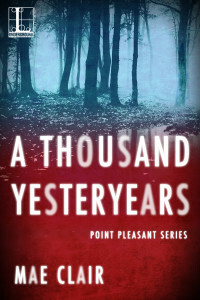 A THOUSAND YESTERYEARS releases on April 26th, but the ebook version is already available from Amazon and all other major booksellers. If you’d like to pre-order you can find a complete list of links here. Good morning, Staci! Just wanted to send a huge “thank you” your way for helping me spread the word about the giveaway for A THOUSAND YESTERYEARS. With all of the research that went into this book it feels like its been a long time in development. I’m excited that April and its release date are almost here! Happy to do it. And I’m excited for you! This sounds intriguing. I’m also interested in the “legends” behind many of these creatures. Here in Texas, we have a “Chupacabra” or goat sucker. While most people say it looks like a mutated coyote, the legend that comes from Central America is that it has some human-like attributes. 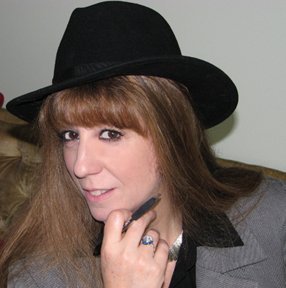 Hopping over to Goodreads now! Hi Joan! Thanks for entering the giveaway. I’m so glad the book interests you. I’ve held a fascination for “creatures” since I was a kid. For several years I did a feature on my blog called “Mythical Monday” where I posted about old legends, myth and folklore. The Chupacabra had it’s own segment. 🙂 I really need to start that up again. Thanks again for entering my promotion, and best of luck in the giveaway! Joan, are we sharing a brain again? I should have known something like this would interest you, too.